TwistedWave is an audio recording and editing tool that is included in Next Vista's list of recommended tools. 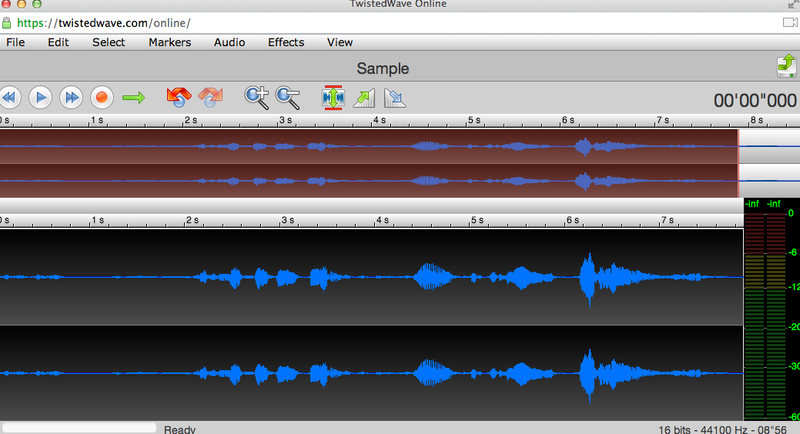 Through TwistedWave you can create and edit spoken audio recordings from scratch. Your completed tracks can be exported to Google Drive and SoundCloud. If you have existing audio tracks in your SoundCloud or Google Drive account you can also import it into TwistedWave to edit those audio tracks. TwistedWave's audio editing tools include options for fade-in, fade-out, looping, sound normalization, and pitch adjustments. The editor also includes the typical track clipping tools that you would expect to see in an audio editing tool. You will have to create a free TwistedWave account in order to create and or edit a track of more than thirty seconds in length. TwistedWave could be a good audio track creation and editing tool for students and teachers that are using Chromebooks. The integration with Google Drive makes it easy for students to save their works and share their recordings with their teachers.